Contribute to the online collection of memories surrounding March 11th. 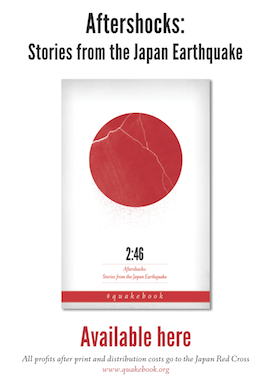 It was only once the deadline for #Quakebook has passed that many people first heard about the project. Despite the book having entered the editing process, we continued to receive essays, photos, poems and artwork from people all around the world. We felt it was important to share these contributions, to show just how many people were touched by this event, and how much support there is for the people of Tohoku. These submissions can now be viewed here on our website in the Reader Contributions section. Help spread the word with a #quakebook banner! 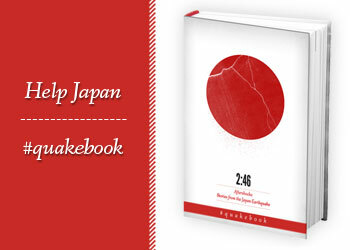 If you have a website or blog, help promote #quakebook by putting a banner on your site. Simply copy one of the code snippets below into your template or html widget. 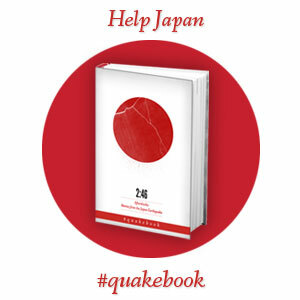 Follow @QuakeBook, @ourmaninabiko, @gakuranman and @aragoto on Twitter for updates on where #Quakebook is in need of help!